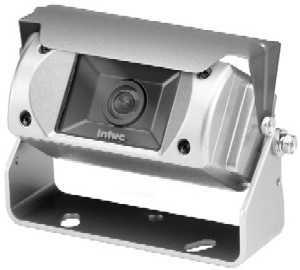 Intec Video Systems, Inc.L camera and CVC230SXL shuttered camera are a pair of heavy-duty cameras. The shutter is designed to keep dirt, water and mud off the lens when not in use. These cameras are shock resistant and waterproof, and are equipped with Amphenol connectors to eliminate water intrusion. They offer a field of view of 125° horizontal and 100° vertical. Both cameras operate in both day and night lighting and come with six-year parts and labor warranties.